The Chang'e-4 lunar probe mission named after the moon goddess in Chinese mythology launched on a Long March 3B rocket from the southwestern Xichang launch centre at 7 December 2018 2:23 am (1823 GMT), according to the official Xinhua news agency. "Chang'e-4 is humanity's first probe to land on and explore the far side of the moon," said the mission's chief commander He Rongwei of China Aerospace Science and Technology Corp, the main state-owned space contractor. "This mission is also the most meaningful deep space exploration research project in the world in 2018," He said, according to state-run Global Times. Unlike the near side of the moon that is "tidally locked" and always faces the earth, and offers many flat areas to touch down on, the far side is mountainous and rugged. It was not until 1959 that the Soviet Union captured the first images of the heavily cratered surface, uncloaking some of the mystery of the moon's "dark side". No lander or rover has ever touched the surface there, positioning China as the first nation to explore the area. "China over the past 10 or 20 years has been systematically ticking off the various firsts that America and the Soviet Union did in the 1960s and 1970s in space exploration," said Jonathan McDowell, an astronomer at the Harvard-Smithsonian Center for Astrophysics. "This is one of the first times they've done something that no one else has done before." It is no easy technological feat China has been preparing for this moment for years. A major challenge for such a mission is communicating with the robotic lander: as the far side of the moon always points away from earth, there is no direct "line of sight" for signals. As a solution, China in May blasted the Queqiao ("Magpie Bridge") satellite into the moon's orbit, positioning it so that it can relay data and commands between the lander and earth. Adding to the difficulties, Chang'e-4 is being sent to the Aitken Basin in the lunar south pole region known for its craggy and complex terrain state media has said. The probe is carrying six experiments from China and four from abroad. They include low-frequency radio astronomical studies aiming to take advantage of the lack of interference on the far side as well as mineral and radiation tests, Xinhua cited the China National Space Administration as saying. The experiments also involve planting a potato and other seeds, according to Chinese media reports. Beijing is pouring billions into its military-run space programme, with hopes of having a crewed space station by 2022 and of eventually sending humans to the moon. The Chang'e-4 mission is a step in that direction, significant for the engineering expertise needed to explore and settle the moon, McDowell said. "The main thing about this mission is not science, this is a technology mission," he said. 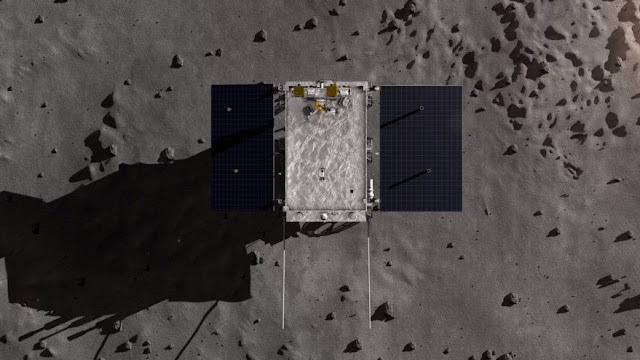 Chang'e-4 will be the second Chinese probe to land on the moon, following the Yutu ("Jade Rabbit") rover mission in 2013. Once on the moon's surface, the rover faces an array of extreme challenges. During the lunar night which lasts 14 earth days, temperatures will drop as low as minus 173 degrees Celsius (minus 279 Fahrenheit). During the lunar day, also lasting 14 earth days, temperatures soar as high as 127 C (261 F). The rover's instruments must withstand those fluctuations and it must generate enough energy to sustain it during the long night. Yutu conquered those challenges and, after initial setbacks, ultimately surveyed the moon's surface for 31 months. Its success provided a major boost to China's space programme. Beijing is planning to send another lunar lander, Chang'e-5, next year to collect samples and bring them back to earth. It is among a slew of ambitious Chinese targets, which include a reusable launcher by 2021, a super-powerful rocket capable of delivering payloads heavier than those NASA and private rocket firm SpaceX can handle, a moon base, a permanently crewed space station and a Mars rover.